The SABC will soon have new leadership as the parliamentary portfolio committee announced the final list of names to be recommended for the new board on Tuesday afternoon. But this was not without controversy as the opposition parties represented in the committee have objected to the list. Parliament is in a race against time to appoint the board as the tenure of the interim board, which was appointed in March following the dissolution of the last board, ends on 25 September. The names will be forwarded to the national assembly for approval on Thursday, before being sent to president Jacob Zuma who will make the actual appointments. Among the 12-member board are the names of the four people who also served on the interim board: Zandile Tshabalala, Noluthando Gosa, Vusumuzi Mavuso and Ronnie Lubisi. Others are Rachel Kalidass, Krish Naidoo, Bongani Khumalo, King Thembinkosi Bonakele, Nomvuyo Mhlakaza, Hope Zinde and Obert Maguvhe. Committee chair Eric Kholwane told the meeting that a task team of the committee met on Tuesday morning to discuss and agree on the names, but could not agree. He said the parties however agreed on more than two-thirds of the names but could not find a compromise on the rest. MPs suggested that the names they were not agreeing on not be made public as this might create disharmony in the board. “Some board members might end up saying ‘the MPs didn’t support me in any case’,” said the Democratic Alliance’s Butch Steyn. The names were decided by a vote with the ANC getting eight of the 12 votes. The four opposition MPs voted against the names and registered their objections. Parliament dissolved the previous SABC board in March this year, following months of infighting, which led to instability in the corporation. Some members of the previous board accused axed communications minister Dina Pule of politically interfering with the work of the SABC. They also blamed that board’s chairperson, Ben Ngubane, as being at the centre of the SABC’s problems. Ngubane and the board fell out over the future of acting chief operating officer Hlaudi Motsoeneng. In February, the broadcaster announced Motsoeneng had been “released from his duties”. It said Mike Siluma, a veteran journalist and head of radio news and current affairs, had been appointed to the acting position. But shortly after that, Ngubane was quoted in a newspaper report as saying that Motsoeneng had been reinstated. He said his deputy at the time, Thami ka Plaatjie, had made the decision to reinstate him. This prompted the SABC board to issue a media statement saying that “the report … is regrettable as neither the chairperson nor the deputy chairperson nor both have the power or authority to unilaterally change a board resolution”. Meanwhile, two members of the previous board accused Pule of political interference. Vos specifically cited “unilateral decision making” by Ngubane, which had previously been brought to the attention of the parliamentary committee. “For too long, board members and some who have resigned along the way since 2010 have strenuously objected to various decisions taken by the chairperson [Ngubane] without the approval of the board. “Time and again, Dr Ngubane acted illegally … and by way of proof of this right up until his recent resignation he attempted to overturn a decision taken by the majority of board members in a properly constituted board,” she said. In her presentation to Parliament before the board was dissolved, Pule listed a range of problems. Among these were board members discussing board issues in the media; failure to attend meetings with her; failure to follow due procedure in appointing senior managers; and refusal to hand over a special investigations unit report. “There was so much in the media that was not supposed to be discussed in the media, but in the boardroom of the SABC. It showed to us that there was a breach of corporate governance. 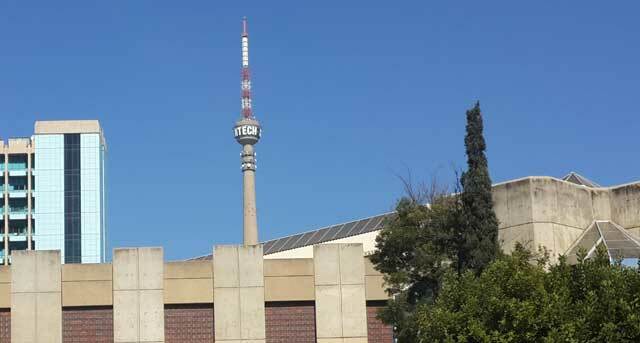 It weakens the SABC and armed with this information, it becomes easier for competitors to access strategic information of the broadcaster and becomes easier for competitors to steal audience,” said Pule.